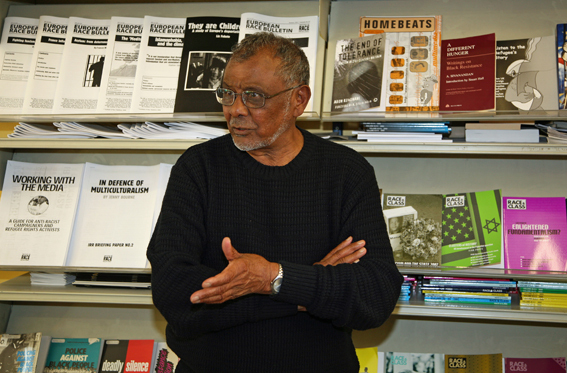 Sivanandan has been instrumental in reorienting the Institute of Race Relations, from the 1970s, so as to reflect changing politics and meet the needs of those experiencing racism. The struggle he led – between staff and members on the one hand and the management board of politicians, business leaders on the other – was to change the way that race relations was conceived in the UK. 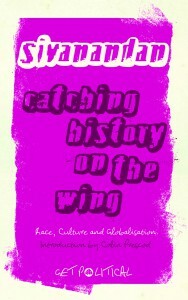 It drew attention to the fact that that the presence of non-white immigrants was related to the country’s colonial history and economic needs, that the victims of racism were constantly seen ‘as the problem’ when it was actually white society and, specifically, government and state policies which gave a lead on creating and entrenching racism. The perspectives brought to IRR out of the struggle over its control in the 1970s have enabled the organisation to carve out a unique role for itself. It remains a cutting edge think tank but positions itself between academia and the grassroots. It does not misplace itself in community affairs but provides the ammunition for groups on the ground to conduct their own campaigns against racism. Whereas other NGOs might seek to speak to and influence power-brokers directly, the IRR chooses to ‘speak from’. It takes its cue from the most discriminated against in society and attempts to tackle those issues and subjects where racism is at its most harsh and intractable, and is at pains to present its research findings in an accessible way – ‘the people we are writing for are the people we are fighting for’. Because it became a more streamlined organisation, it is able to be very flexible and respond quickly to new needs. 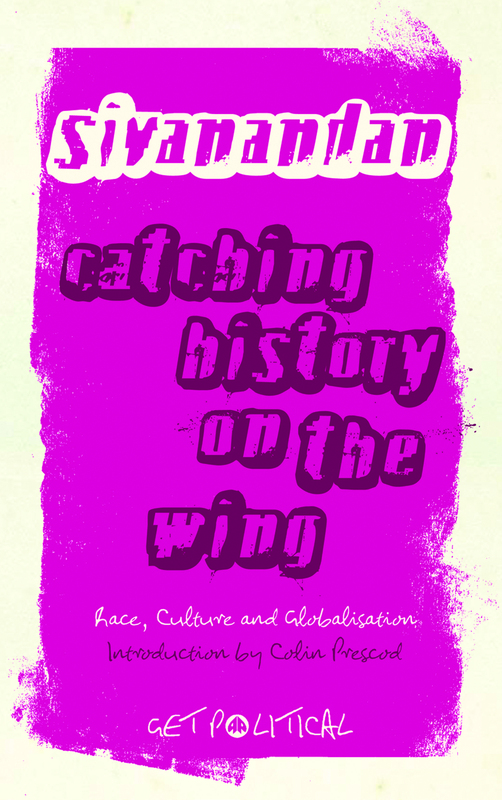 Thus it has been at the forefront of retrieving and recounting Black British History, of creating anti-racist materials for young people, of examining new forms of pan-European racism such as xeno-racism and Islamophobia, of exposing the impact of the ‘war on terror’. And in all this, the writing and teaching of A. Sivanandan have been key. Most of his work was first published in the journal Race & Class. ‘The liberation of the black intellectual’ (1974) examined identity, struggle and engagement during decolonisation and Black Power. ‘Race, class and the state’ (1977) provided the first coherent class analysis of the black experience in Britain, examined the political economy of migration and coined the idea of state, structured racism. 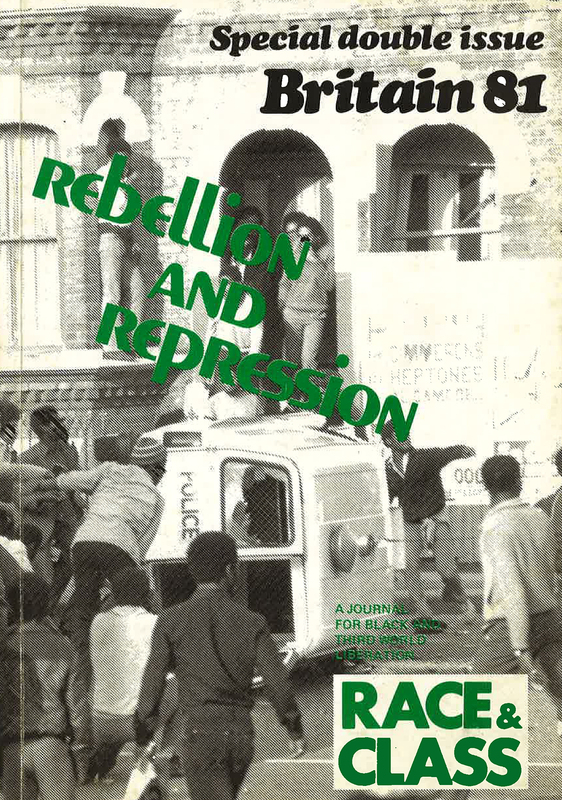 ‘From resistance to rebellion’ (1981) tells the story of black protest in the UK from 1940 to 1981. ‘RAT and the degradation of black struggle’ (1985) made the crucial distinction between personal racialism and institutional or state racism. 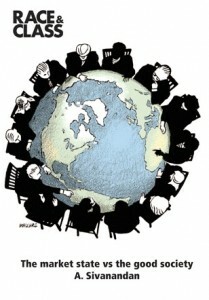 ‘Race, terror and civil society’ (2006) showed new racisms, such as the attack on multiculturalism and growth of anti-Muslim racism, thrown up by globalisation post-9/11. 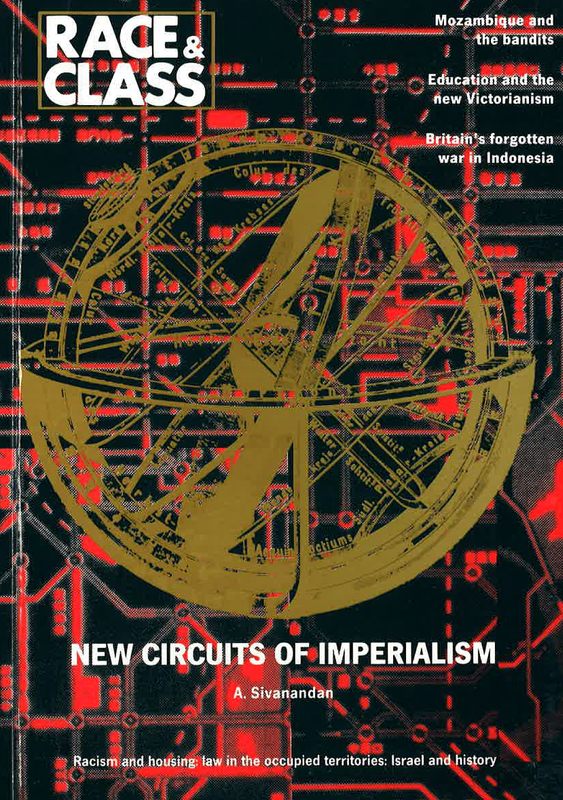 Changes in productive forces, especially the technological revolution, were themes taken up in ‘Imperialism and disorganic development in the Silicon Age’ (1979) and ‘New Circuits of imperialism’ (1989). 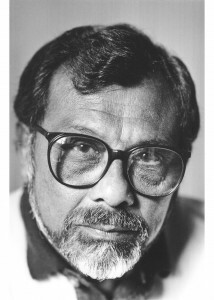 Ambalavaner Sivanandan (born 20 December 1923, in Colombo) is a Sri Lankan novelist, and director Emeritus of the Institute of Race Relations, a London-based independent educational charity. 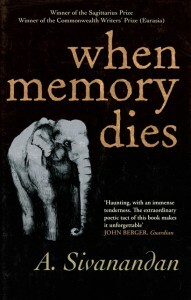 His novel, When Memory Dies, won the 1998 Commonwealth Writers’ Prize in the Best First Book category for Europe and South Asia. He left Sri Lanka after the 1958 riots. The son of Ambalavaner, a worker in the postal system who came from the village of Sandilipay in Jaffna in the north of the island, Sivanandan was educated at St. Joseph’s College, Colombo. There he was taught by J. P. de Fonseka, who inspired him with a love of the English language alongside his native Tamil. He later studied at the University of Ceylon, graduating in Economics in 1945. He went on to teach in the Ceylon ‘Hill Country’ and then worked for the Bank of Ceylon, where he became one of the first ‘native’ bank managers. On coming to the UK, after a spell as a clerk in Vavasseur and Co and unable to obtain work in banking, Sivanandan took a job in Middlesex libraries and retrained as a librarian. He worked variously in public libraries, for the Colonial Office library and in 1964 was appointed chief librarian at the Institute of Race Relations (IRR) in central London. 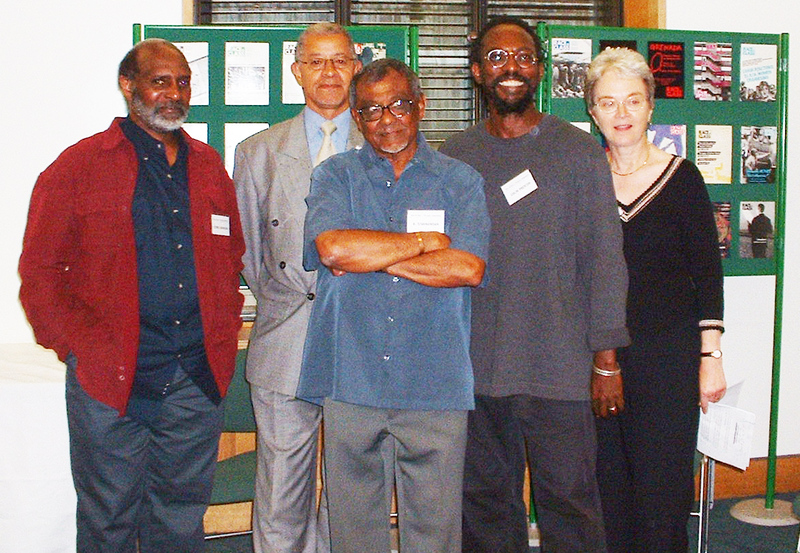 The library on race relations built up by Sivanandan was, in 2006, moved to the University of Warwick Library, where it is known as the Sivanandan Collection. In 1972, following an internal struggle at IRR (in which Sivanandan was a principal organiser) with staff and members on one side and the Management Board on the other, over the type of research the IRR should undertake and the freedom of expression and criticism staff could enjoy, the majority of Board members were forced to resign and the IRR was reoriented, away from advising government and towards servicing community organisations and victims of racism. Sivanandan was appointed as its new director. In 1974 he was appointed editor of the IRR’s journal Race, which was renamed Race & Class. 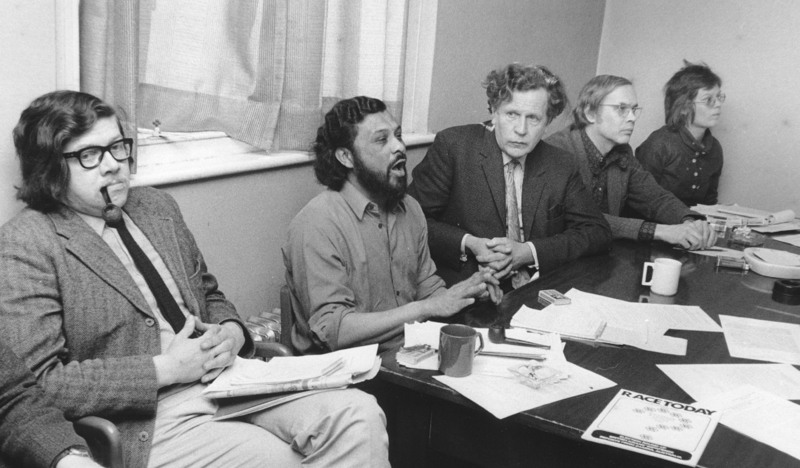 Under his editorship, Race & Class became the leading international English-language journal on racism and imperialism, attracting to its editorial board Orlando Letelier, Eqbal Ahmad, Malcolm Caldwell, John Berger, Basil Davidson, Thomas Hodgkin, Jan Carew, Manning Marable among others. IRR is best known for its quarterly journal Race and Class, which was extremely important in terms of developing an indigenous British anti-racist movement and is one of the key academic journals in the British New Left. 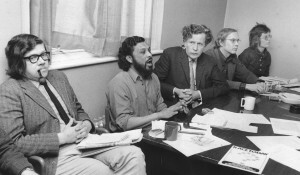 Sivanandan is regarded as one of the leading Black political thinkers in the UK. Most of his work was first published in the journal Race & Class. ‘The liberation of the black intellectual‘ (1977) examined identity, struggle and engagement during decolonisation and Black Power. ‘Race, class and the state’ (1976) provided the first coherent class analysis of the black experience in Britain, examined the political economy of migration and coined the idea of state, structured racism. ‘From resistance to rebellion‘ (1981) tells the story of black protest in the UK from 1940 to 1981. 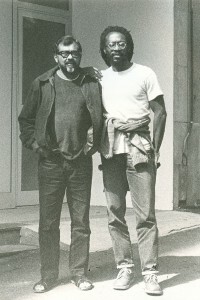 ‘RAT and the degradation of black struggle‘ (1985) made the crucial distinction between personal racialism and institutional or state racism. ‘Race, terror and civil society‘ (2006) showed new racisms, such as the attack on multiculturalism and growth of anti-Muslim racism, thrown up by globalisation post-9/11. Changes in productive forces, especially the technological revolution, were themes taken up in ‘Imperialism and disorganic development in the silicon age‘ (1979); ‘New circuits of imperialism‘ (1989) and ‘The market state vs the good society‘ (2013). He has been highly critical of some trends in modern leftism, such as the New Times movement pioneered by Marxism Today, and Postmodernism. Sivanandan’s political non-fiction articles were published in a number of collections: A Different Hunger: writings on black resistance, 1982 (Pluto Press); Communities of Resistance: writings on black struggles for socialism, 1990 (Verso); Catching History on the Wing: Race, Culture and Globalisation, 2008 (Pluto Press). 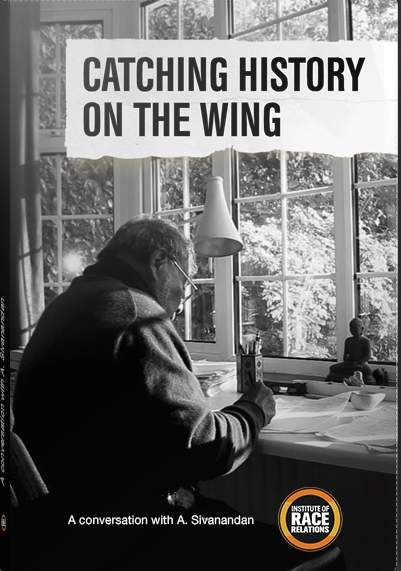 A film, Catching History on the Wing (2015), shows A. Sivanandan, in conversation with Colin Prescod (IRR Chair). 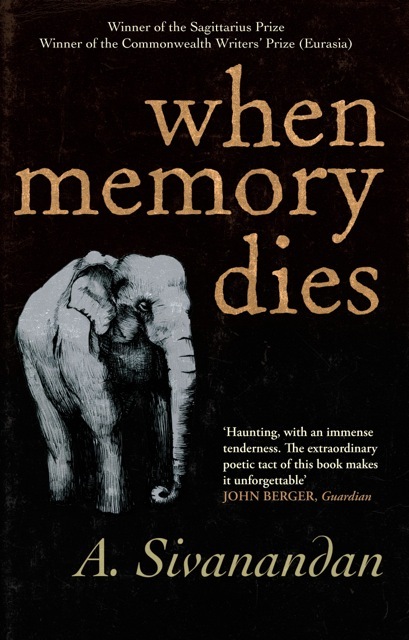 In 1997 Sivanandan published an epic novel on Sri Lanka entitled When Memory Dies (Arcadia Books) which went on to win the Commonwealth Writers’ First Book Prize (for Eurasia) and the Sagittarius Prize. In 2000 a collection of his short stories was published entitled Where the dance is (Arcadia Books). A full bibliography of works by A Sivanandan is available at here (pdf file, 82kb). ‘From immigration to repatriation: “the imperial imperative”: research perspectives in the field of immigrant labour’, paper, Berlin: Berliner Institut fur Vergleichende Sozialforschung, June 1979. 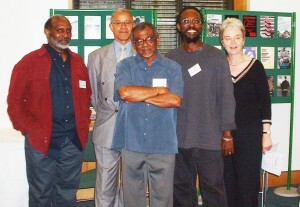 ‘Black struggles against racism’, in CCETSW, Setting the Context for Change, London: CCETSW, 1991. ‘How Britain lets down minorities‘. The Observer. 16 October 2005. ‘Attacks on multicultural Britain pave the way for enforced assimilation’, in The Guardian (13 September 2006). ‘Liberal elitists who ignore the context of power and privilege‘. The Guardian. 30 November 2006. References:  A. Sivanandan. ‘An Island Tragedy‘. New Left Review. ‘A. Sivanandan‘. IRR. Retrieved 10 August 2011. 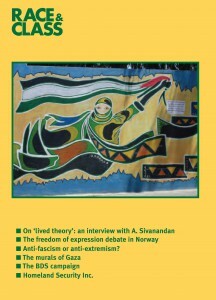 New Left Review (Volume 60, November-December 2009). Quintin Hoare & Malcolm Imrie, ‘The Heart Is Where the Battle Is’, in Communities of Resistance: writings on black struggles for socialism, Verso, 1990; and Louis Kushnick & Paul Grant, ‘Catching History on the Wing: A Sivanandan as Activist, Teacher, and Rebel’, in Against the Odds: Scholars who Challenged Racism in the Twentieth Century, eds Benjamin P. Bowser & Louis Kushnick, University of Massachusetts Press, 2002. Ethnicity and Migration Collections, Incorporating the Sivanandan Collection of the Institute of Race Relations and the Collection of the Centre for Research in Ethnic Relations. Warwick, Centre for Research in Ethnic Relations. ‘IRR gifts its library to Warwick University‘, Institute of Race Relations, 3 May 2006. ‘Race and Resistance: the IRR story‘, Race & Class, Volume 50, no. 2, 2008; and Chris Mullard, Race. Power and Resistance, London: Routledge Kegan Paul, 1985. ‘authorPOINT’s flash presentation’. IRR. Retrieved 10 August 2011. ‘Race & Class’. Rac.sagepub.com. Retrieved 10 August 2011. ‘The liberation of the black intellectual‘ (1977). 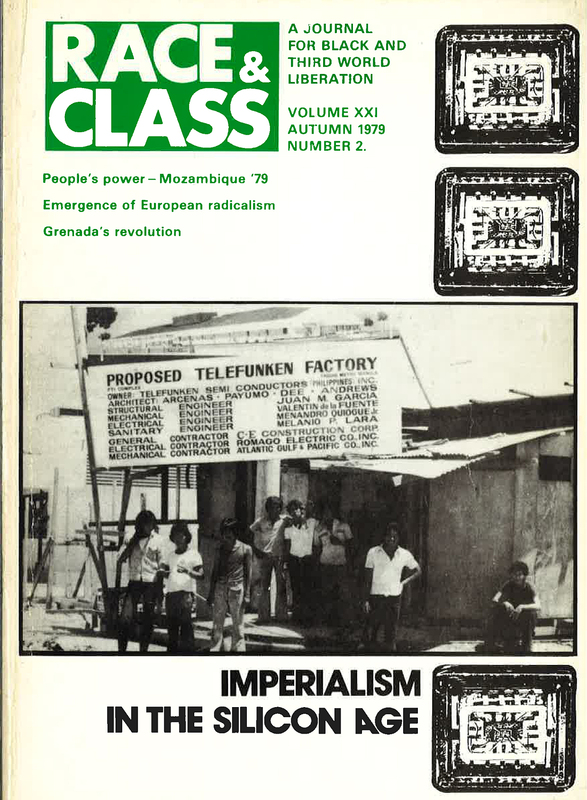 ‘Race, class and the state’ (1976). ‘From resistance to rebellion’ (1981). ‘Race, terror and civil society‘ (2006). ‘Imperialism and disorganic development in the silicon age‘ (1979). 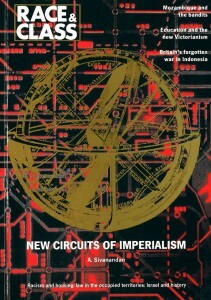 ‘New circuits of imperialism‘ (1989). Catching History on the Wing, Pluto Press. 20 September 2008. When Memory Dies. Arcadia Books. Where the Dance Is. Arcadia Books.